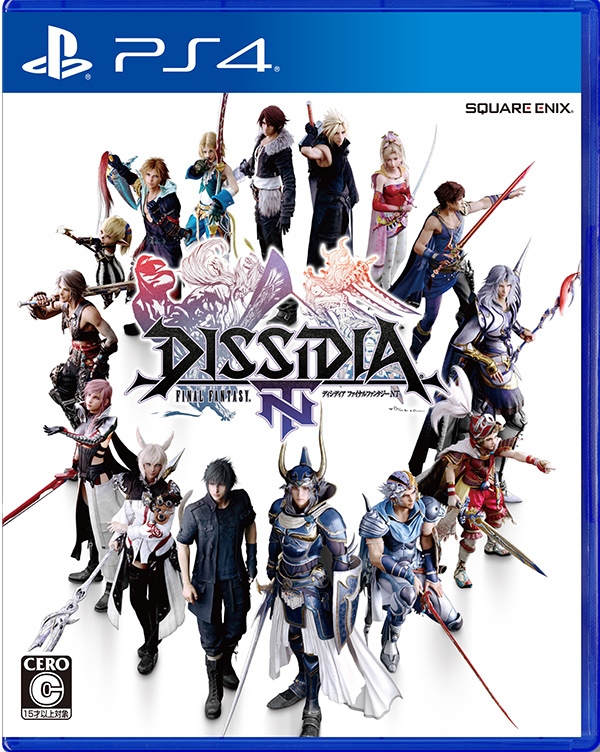 Developed by Square Enix, the first “Dissidia Final Fantasy” debuted on the PSP in 2008 and it drew on a long tradition of fighting games in which characters from a franchise or a company battle it out. This latest iteration, “Dissidia Final Fantasy NT,” however, was originally an arcade game that has been ported to the PlayStation 4. The new addition, available for ¥8,424, adds a spin to the series: The two previous games were one-on-one battles — this latest one is three-on-three. Players can select which character they want to control, while the computer handles the other two in their party. “Dissidia Final Fantasy NT” also features new brawlers such as Prince Noctis from “Final Fantasy XV,” among others. Unlike the previous two “Dissidia” games, this one wasn’t developed by Square Enix. 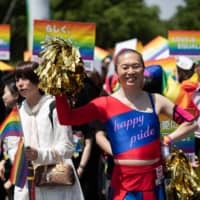 It’s from Koei Tecmo, which is famed for its “Ninja Gaiden” action series, “Dynasty Warriors” hack-and-slash games and the “Dead or Alive” fighting games. “Dissidia Final Fantasy NT” has inherited a little DNA from all these. For years now, “Monster Hunter” games have had a massive following in Japan. 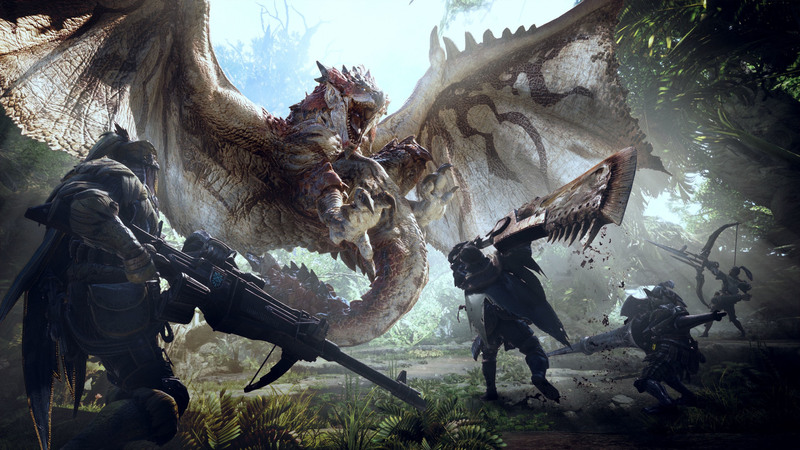 With the upcoming Jan. 26 release of “Monster Hunter: World,” Capcom is now aiming to satisfy those long-time fans as well as entice new players to the fold. 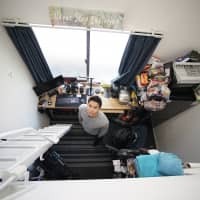 “Monster Hunter” hasn’t strictly been a portable game (the first title was released on the PlayStation 2), but the most popular entries in the series have been handheld releases and it has become synonymous with mobile gaming in Japan. 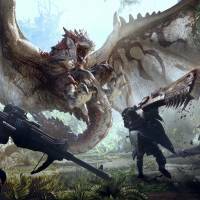 “Monster Hunter: World,” however, is a PS4 release (¥9,698 for the packaged version, ¥8980 for download) and takes advantage of the console’s power to render a vast life-like, beautiful in-game world with even more intricate detail. The PSP versions are classics, but “Monster Hunter: World” brings life to the game’s environments in new ways thanks to improved graphics, lighting effects and the inclusion of little insects that scurry about the terrain. You feel like you are in a living and breathing world. One of the unappealing features of “Monster Hunter” was the control scheme, which is second nature to long-time players but seems dated and difficult for newcomers. Capcom has now streamlined this for new players, updating it in a more contemporary style. The traditional controls for actions,such as running or selecting items, are still an alternative option, but the old weapon controls have not been included. “Monster Hunter” diehards will love this big-budget, glossy send up, while newbies should feel more welcomed than before. If you’ve never played the game, this is the best time to join the hunt. One of Japan’s most haunting and poetic releases is getting an HD remaster for the PS4. “Shadow of the Colossus” (“Wanda to Kyozo” in Japan), which was originally released in 2005 on the PS2, tells the story of a young hero who sets out to take down a series of formidable, large bosses known as Colossus. The battles are big set pieces, but a simple fury of attacks won’t bring down the giants. Each Colossus has a weak spot, and finding it is like a puzzle, with players trying to figure out what they need to do to come out victorious. Designed by Fumito Ueda, the game immediately became a critical favorite. Even on the PS2, it was beautiful. Sony’s high-definition remaster for the PS3 was, too, but the new PS4 remaster — running at 1080p and outputting 60 frames per second on the PS4 Pro — looks even better. And this isn’t just a fresh coat of paint. Sony has had the game rebuilt from the ground up for the PS4. The remaster features the game’s original controls as well as revamped ones, so players can move the jump action from the triangle button to the more logical X button, and more. 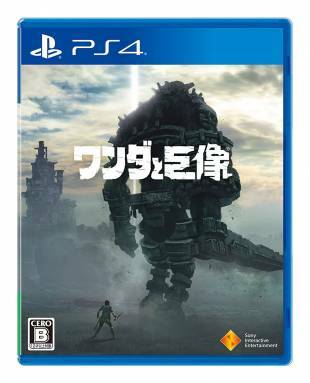 “Shadow of the Colossus” will be released on Feb. 8 and both the package and download versions are ¥5,292.